A display of teaching aids for the course. Each of our people will show up with a variety of objects to provide lecture content. Some sessions are entirely question and answer some are a structured lecture depending on the needs of the student. 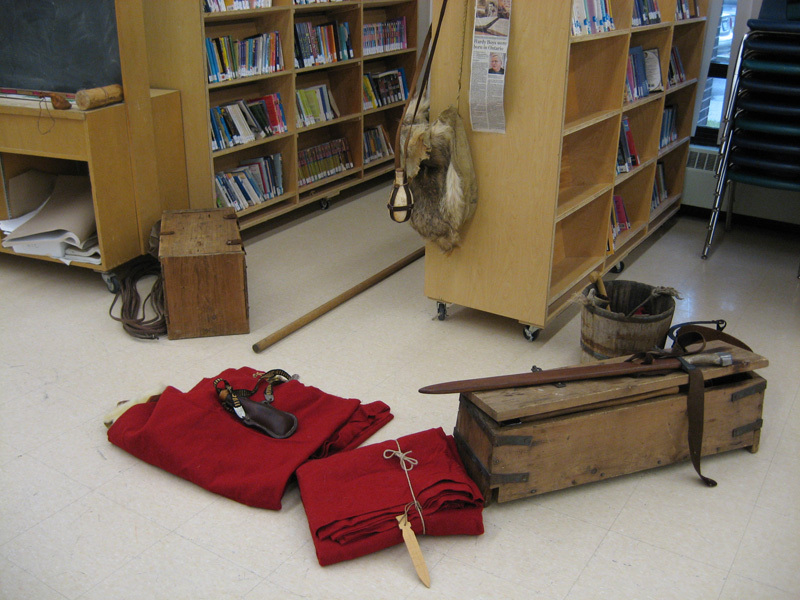 In this display, materials include red wool (a trade good in North America), walrus hide rope, sword and spear, boxes and bags full of additional material.